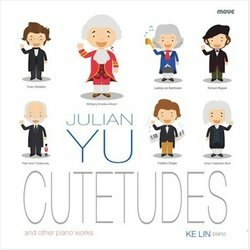 Another tongue-in cheek "Cute etude" from Julian Yu and Ke Lin: To Comrade Shostakovich is an appreciation of the lightter side... The theme comes from a childrens' song from Shostakovichs' Song of the Forest. Delightful, playful and executed with Russian precision!